Today we’re going to be talking about mailers, and how they’re not dead. I’m going to start with a shameless plug for my church, Church Eleven32. 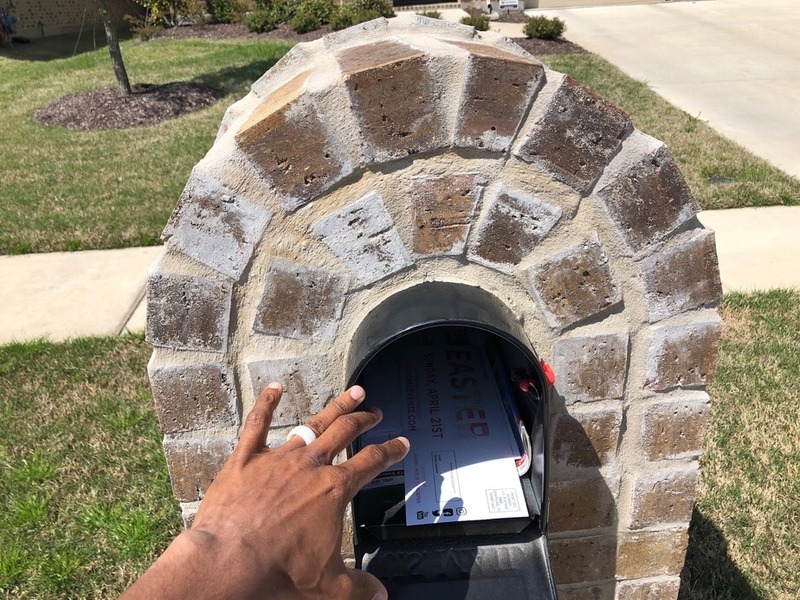 I got a mailer from them the other day about our Easter celebration, and it was a great example of how mailers still work. If you own a business I recommend you send out mailers, and I recommend that you send out mailers like this one. What makes this one a good mailer? For one thing, they have their social media icons clearly displayed. This lets everyone know that they can find them and follow them on Facebook, Instagram, YouTube, and Twitter. You need to have your social media on your mailer because most people these days will check out your business online before they ever call you. Not only do you need to have your social media icons on your print media, but you need to make sure that when your potential clients (or in this case, church members) go to your social media pages, you have good content there ready for them. That’s what I do! I make sure that when people check out your Facebook page, Instagram page, website, or whatever you have, it’s updated with great content! That’s what pulls people in. If you go to Church Eleven32’s website you will see great content—great pictures, videos, etc. That’s what drew me to our church! We live in a digital age, but people still check their snail mail every day. The two work together. If you send out mailers and you have great content on your social media, you’re going to get a great return on your investment. So make sure you’re sending out mailers, but make sure that when you do you have your social media icons on them and that you have great content to back your mailer up!